Home Policy Wording Explained What is an EHIC? The European Health Insurance Card (EHIC) allows access to state-provided healthcare when travelling to a European Economic Area (EEA) country or Switzerland for any emergency or necessary medical treatment incurred whilst on holiday. 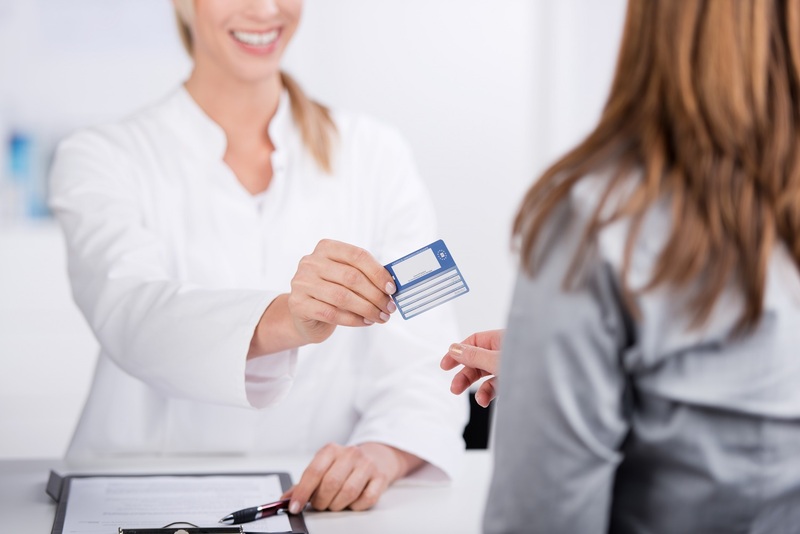 Formally known as the E111 card, EHIC came into place in January 2006 and meant rather than receiving free healthcare or a receipt to claim back expenses on your return home, some payments are to be made upfront and are non-refundable; similar to purchasing prescriptions or receiving dental care in the UK. Why do you need a European Health Insurance Card? Presenting your EHIC before receiving medical treatment in an EEA country means you are entitled to the same medical care received by local citizens at either no charge or a reduced cost. The EHIC will also cover any necessary medical treatment for existing conditions and routine maternity care, providing you are not travelling to the country to give birth or seek medical treatment. How do I know if I am Eligible to apply for EHIC? All UK residents are eligible to apply for an EHIC, however, there are some restrictions depending on nationality. See the EHIC website for more information. How do I apply for EHIC? Registering for an EHIC is simple, and there are several ways you can do so; apply online or by calling the EHIC application service on 0300 3301350. Alternatively, you can download an application form and apply by post. Applications usually take between 7-10 days to process but allow extra time for postal applications. So how much does an EHIC card cost? Good news, the EHIC is completely free of charge and is valid for 5 years. Be aware of fraud sites though – these will charge you to apply for an EHIC and it is unlikely you will be able to claim back your money! It is worth noting all those travelling to an EEA country will need to carry an EHIC to be eligible for treatment. While under 16s are not able to apply for their own card, a parent or guardian can do so on their behalf. Beware, it is not yet known how Brexit will affect the EHIC and we are not likely to know for sure what the outcome will be until the terms of Britain’s exit from the European Union are finalised. Renewing your EHIC is easy and can be completed up to six months before it is due to expire! As with an application, the quickest way to renew is online but you can also renew by phone or post. It is a good idea to keep your EHIC up to date – even if you’re not planning on travelling any time soon, it’s free and can be very useful should the worst happen whilst you’re on holiday – just in case you didn’t purchase travel insurance! What Countries is my EHIC Valid for? Be sure to check which countries are covered with an EHIC as it’s NOT as simple as – all european countries. You’ll be asked to pay a lump sum upfront to cover costs but you can then claim some of this cost back. Daily hospital charges apply, and ambulances (including air ambulances) are not covered so health insurance is highly recommended. Dental treatment is not covered unless it is caused by a serious illness or accident. Before travelling to any of the above countries it is worth checking the medical cover available for local residents. Take Greece for example, nursing care is not provided free of charge to Greek citizens. If you were admitted to hospital in Greece your medical treatment would be free, but you will have to pay around £60 per day if you want a nurse to look after you – your travel insurance will cover you for this! Although the EHIC will entitle you to receive emergency medical treatment abroad, it will not cover for repatriation if you need to return to the UK – something which is included as standard in many travel insurance policies. Looking at going on a cruise? EHIC will not cover on the cruise ship but it will on dry land – even if you are just sailing around the Mediterranean! Your travel insurance may offer cover for cruises as standard or you can purchase a cruise extension for a small additional premium – this will not only cover your medical expenses, but many also include cabin confinement, missed port stops and missed excursions. How about a winter sports or activity holiday? Although your emergency medical treatment will be covered under the EHIC, it will not cover for mountain or ski rescue! If you become unwell or injured whilst in an area with restricted access, your travel insurance will cover any reasonable rescue costs – providing you have paid the appropriate additional premium for the activity you are undertaking. It is worth knowing some travel insurance companies will waiver the excess on a policy if you receive emergency medical treatment under the EHIC! I have lost my European Health Insurance Card what do I do? If your EHIC is lost or stolen before you travel, you can easily apply for an EHIC replacement online, over the phone or by post – this will usually take 10 working days to arrive. If you are due to travel before the replacement EHIC arrives or your EHIC is lost or stolen abroad you can telephone the Department for Work and Pensions Overseas Healthcare Team (DWP OHT) and they will be able to issue a Provisional Replacement Certificate (PRC) – this will entitle you to the same cover as the EHIC. Beware, the DWP OHT can only be contacted during set opening hours, therefore if you need emergency medical attention at the weekend or at night you may be refused treatment – another reason to have travel insurance!